Janson Fishery is an easily accessible coarse fishery set in idyllic countryside in the Vale of Belvoir. 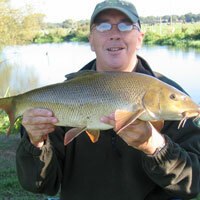 The venue features four lakes and offers a great environment for for match fishing, pleasure fishing and coaching. Tomo’s Pool (day ticket) – a well matured pool with 18 pegs, this was the first water on the venue during its creation in the 80s. It is an irregular shape and has an island running down the middle. 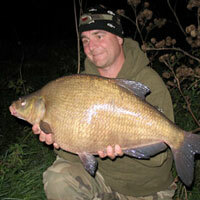 It has a large head of mixed species including carp into the mid teens, tench, barbel, chub, roach, rudd and crucians. With depths ranging from 2 to 5 foot, pole or waggler tactics are the best to adopt on Tomo’s Pool. Best baits include chopped worm, caster, pellet and sweetcorn. Donut Pool (day ticket) – specially designed for coaching and as an ideal ‘lads and dads’ lake, containing a large head of silver fish and small carp. 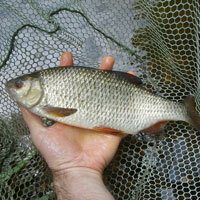 Species include: carp, tench, roach, rudd, ide, and barbel. Pool one has a depth of 4.5 foot in the track with a gradual incline at both the near and far bank. All pegs are disabled friendly and are accessible by paths. Best baits include maggot, pellet and sweetcorn. Match Pool (match lake) – a prolific 40 peg oval canal style match lake containing a large head of carp up to 9lb (they average around 4lb), ide, skimmer bream, roach and rudd. This pool has a depth of 4ft 6 inch down the track, with a shelf on the far side and a gradual incline on the near side. All pegs are disabled friendly and are fully accessible by paths. Best baits include pellet, sweetcorn and maggot. The match record on here is over 300lbs. Munroe’s Pool (match lake) – there are another 24 pegs on this pool which was added more recently. It is a similar size to the match pool, but fewer pegs means there is more water to attack. There are no silver fish in here, so if you like catching carp, this will be a dream come true. The carp run close to double figures, but average at around 3lbs. The match record on here is close to 300lbs. The Vale of Belvoir pub is a one minute walk! Barbless hooks only (max size 12). Carp mats must be used. Each angler must have their own landing net which must be dipped before fishing. 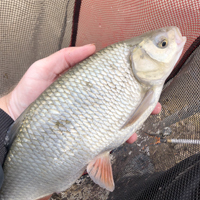 Fish must NOT be swung in – landing nets to be used for every fish. No towels/cloths to be used to hold fish – wet hands only. All fish to be returned to the water in a healthy condition. Fishing from permanent pegs only. Jansons Feed Pellets are the only feed pellet allowed on this fishery. Corn, hookable carp pellets, paste, maggots, caster, worms, hemp and carp pellet. Groundbait allowed in feeder only, not to be loose fed. No dogs except assistance dogs allowed. The two match pools (Match and Munroe’s) can be fished on a day ticket during the week. Match rules must apply and fishing is restricted to 5 hours. Address: Redmile Lane, Elton, Nottinghamshire, NG13 9EU.